We're moving to the cloud! We're sorry that things are a bit foggy. 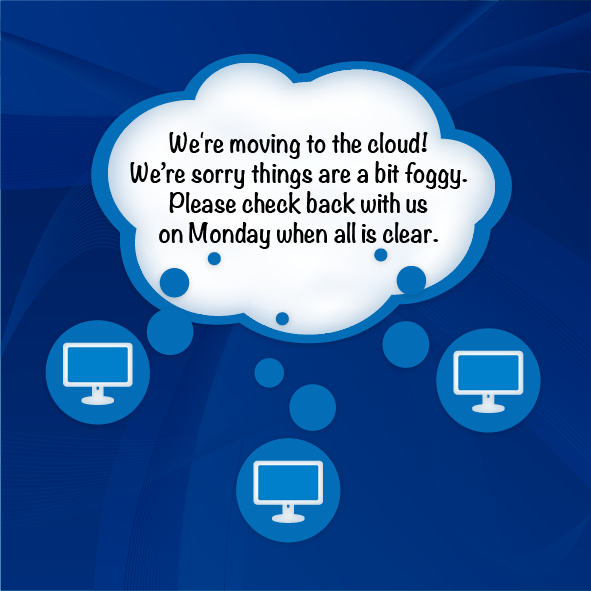 Please check back with us on Monday when all is clear.